The worlds of web development and business, combined. Hosted by Sunny Singh. 51: CSS in JS - Benefits, issues, and libraries. I recently listened to the Crushing It audio book by Gary Vaynerchuk (Gary Vee). I provide my thoughts and recommendations. Buy the book here: https://amzn.to/2JMooBi Tweet me feedback @sunnysinghio or call me on the Anchor app. Talking about components, and the concept of componetizing everything. What problems do components solve in design and code, and what popularized them? Tweet me feedback and topic suggestions @sunnysinghio. What is evergreen content and how can it benefit you? Talking about the recent repeal of net neutrality. What is it, and how does this affect how we use and build for the Internet? Tweet me what you think @sunnysinghio. Let's learn together about cryptocurrency and blockchain. I share my experience in making a profit off Litecoin. Responding to some call-ins today. Talking about some tools that can help.with Cross-browser development. Check out these stations/podcasts who called in: - https://anchor.fm/anchortalk - https://anchor.fm/patrick-sweetman Links from this episode: - https://autoprefixer.github.io/ - https://babeljs.io/ - http://getbootstrap.com/ - https://polyfill.io/v2/docs/ Tweet me @sunnysinghio for topic suggestions and feedback. 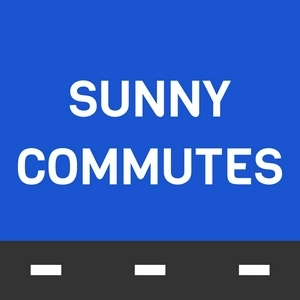 Call-in or leave comments by downloading the Anchor app and searching Sunny Commutes. In honor of this upcoming Thanksgiving, I give thanks to some of the things that have happened and the people that helped me. I'll get back to regular episodes after i recover from this cold. Let me know what you're thankful for @sunnysinghio on Twitter. 36: Featured on Product Hunt! 35: What makes a good UI? I share my small list of things that I follow when building a UI. Tweet me @sunnysinghio for your suggestions. Quick spurt of thoughts about why you should question even when talking to experts. Talking about accessibility on the web. Mistake on the URL, it's http://a11yproject.com. Tweet me @sunnysinghio and call in on the Anchor app. I love the fall season! Some updates and what I'll be doing. Is it okay to automate your job? Talking about CloudFlare's announcement of DDoS protection for all users. A project of mine that I dogfood daily. Tweet me @sunnysinghio for feedback and topic suggestions. Talking about the BSD+Patents license. I rant about annoying marketing schemes. Talking about how to deal with when technical effort is underestimated. Thanks to Marcus Blankenship for the great article. Talking about concepts related to Don't Make Me Think by Steve Krug. Talking about rebranding the podcast. My thoughts on frontend frameworks. Talking a little bit about Laravel, Sails, and Feathers frameworks. Suggest a future topic by tweeting me @sunnysinghio. I talk about how easy it is to start your own podcast and what my setup is like. How important is email and building up a newsletter for your business? I talk about some benefits to blogging for your business. When should you purchase a domain name? A .com or vanity? What's the best place to buy them? I answer these in this episode. What is technical debt and how can you prepare for it? How having knowledge and experience in other roles can help your own. Talking about CodeBee, how a good idea ended in failure. Sharing the lessons I learned. Small talk on imposter syndrome. Talking about a common problem with storing images on a web server. What is bikeshedding and how does it save you time? Talking about how a simple programming language can run your business. Advice on distributing and marketing your product and when to do it. What are static websites and the benefits of them versus dynamic websites? I answer these questions and more on this episode. Announcement from Ninjality and finding motivation in side projects. Talking about the future of mobile and the web platform. burn out • Response to burn out.